If you’re anything like the rest of us at High Score, you spent a whole lot of your weekend playing Red Dead Redemption 2, possibly to the point of angering your family. 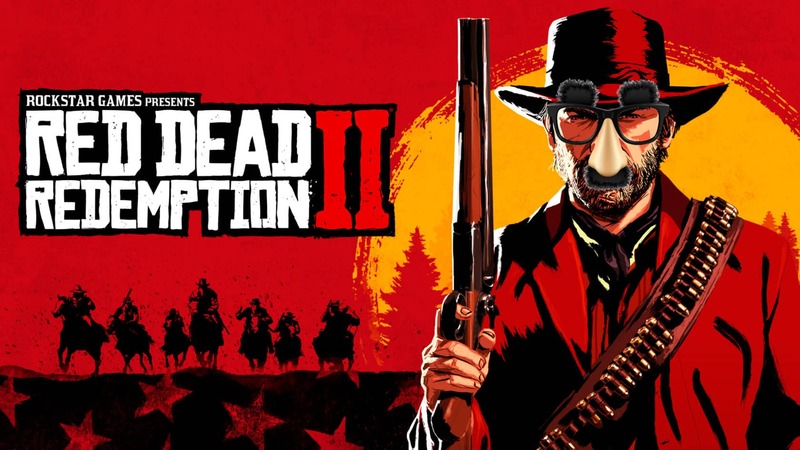 Rockstar went all out with this one, building on what worked in Red Dead Redemption and adding in completely new layers to bring the sequel to life. From having to watch what you eat to cocking your gun before being able to fire again, every piece of RDR2 is carefully constructed to give the player an overall immersive experience. The game is a marvel. It’s beautiful, engrossing, and endlessly entertaining. Still, this being a video game – and a big one at that – there’s always going to be some bugs that make it to the end user. A lot of the time, those bugs can be downright hilarious. Case in point: this video of some of the funniest Red Dead Redemption 2 moments we’ve seen so far. Now, not everything you’ll see in this video is a bug, but plenty of them are. And while a 10-minute compilation of goofs may make you think that Red Dead Redemption 2 is super buggy, keep in mind that this is 10 minutes of a game that already has thousands of hours of time being streamed on Twitch and other formats. You shouldn’t look at this video as an example of the normal player experience of RDR2. Be warned, there are some spoilers for the game towards the end of the video! Personally, I can’t get enough of seeing the horses kick people. I laugh at every one of them in this video, and I laugh when I’ve seen it happen in the game too. What are your favorite laugh out loud moments you’ve seen in Red Dead Redemption 2? Let us know in the comments! BOOK YOUR PARTY OR EVENT AT HIGH SCORE WITH OUR EASY TO USE BOOKING SYSTEM!